There are 380 recognized student organizations at Vanderbilt, 36 of which are religious student groups. A university review found that 32 of those religious groups are in compliance with the school’s diversity policy. The remaining four have been placed on provisional status while the university review continues. Vanderbilt’s review of its student organizations comes a year after a gay student accused a campus Christian fraternity of dismissing him because of his sexual orientation. The above link notes that even the Congressional Prayer Caucus, including Tennessee’s shame [one of them], Rep. Marsha Blackburn, is exerting pressure on Vanderbilt, a private university, to give these four groups a special pass to discriminate. Siao also said he believes Vanderbilt is using the nondiscrimination policy to specifically target religious and conservative groups. Of course, but when 376 out of 380 organizations are able to comply with the policy, and 32 out of 36 religious organizations, perhaps the problem is the wingnut organizations, rather than the school’s policy. 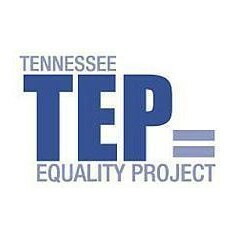 Tennessee Equality Project wants Vanderbilt University to know that people from all over the country support them in their decision to apply their non-discrimination policy consistently to all campus organizations. We have been hearing that the Board of Trust is under intense pressure to scale back the application of the policy. The Congressional Prayer Caucus and Family Action Council of Tennessee have criticized the University. We ask Chancellor Nick Zeppos to pass along our views to the Board of Trust at their meeting this week. Of course the Family Action Council of Tennessee is involved. You’ll remember, from yesterday, that FACTn is a wang of the national hate group Family Research Council, and that it was recently revealed that they used a state senator, essentially, as a puppet, in the passage of the recent bill which disallows Tennessee’s cities from setting strong nondiscrimination policies, a direct attack on the LGBT people of the state. While I doubt that the overlap between FACTn donors and Vanderbilt parents is significant, far be it from a Religious Right organization to mind its own damn business. Head over and sign the petition, please.